The philosophy behind the youth sports program is to provide an atmosphere that focuses on fun, opportunity, sportsmanship, and instruction. Sports can play a positive role in our children’s development, fostering physical skills, and emotional maturity. Children should have a place where they can have fun participating in organized activities in a healthy, safe environment. We strive to provide quality instruction in the fundamentals of the sport while emphasizing fun and sportsmanship over winning. By creating a positive experience for the children we hope to encourage a lifetime of involvement. You can help. We need the cooperation and assistance of parents and coaches to promote and demonstrate these values. The Champaign Park District maintains basketball courts year-round in many area parks. Please visit our Parks page and search the park features for “basketball courts” to find a court near you! Both the Leonhard Recreation Center as well as the Douglass Community Center offer drop-in open gym basketball year-round at various times during the week and on weekends. Nominal fees do apply. Please visit the Leonhard and Douglass webpages for schedules and other details or call 217-398-2550. Additional basketball leagues, tournaments, and programs may be started at any time. Be sure you check out the current Program Guide to find any programs not listed below. This program is offered in June, July, September, October, and November. Calling all preschoolers and kindergarteners! Want to feel like the next basketball star? Mini Ballers is right for you! 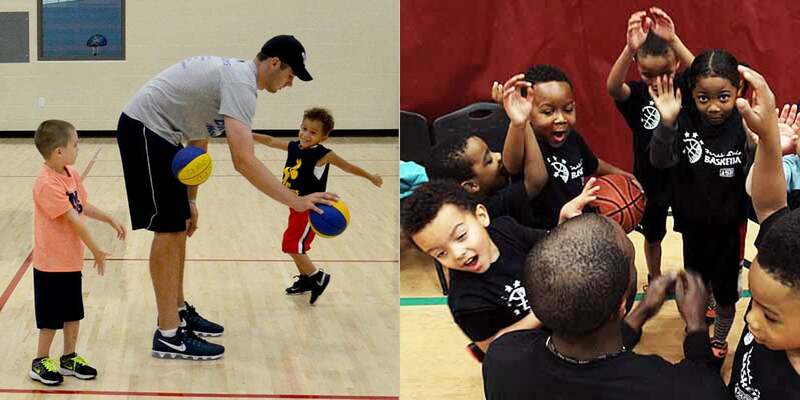 This program is designed to help children learn basic dribbling, passing, and shooting skills using our mini basketball hoops and lowered rims. Calling all pre-schoolers and kindergarteners! Mini Dribblers is designed to practice basic dribbling, passing, and shooting skills with our mini basketball hoops. Players are divided up by age. Douglass First String Basketball league is a cross-court, officiated league, designed to teach basketball fundamentals with an emphasis on fun, teamwork, sportsmanship and growth. Girls and boys of all skill levels are encouraged to participate. Volunteer coaches and officials are needed! heights chosen specifically to encourage skill development and success. Calling all 5th & 6th grade level coaches in the CU and surrounding areas! Register your team for this fun, highly energetic, competitive basketball league hosted at the Douglass Community Center. This league has featured teams from Urbana, St. Joseph, Mattoon, Mahomet, and other surrounding communities. This competitive program is for players looking for a greater challenge than regular recreational leagues and for an opportunity to participate in a summer travel basketball program. Players will train with experienced coaches to play in a local competitive league and may have travel tournament opportunities. All interested players are required to attend tryouts. There are no fees to tryout. If selected, registration fees will be collected at the informational meeting. Requirements: All players must provide birth certificates and maintain good academic standing and attendance. Parents must allow the Park District permission to contact school administration concerning grades and attendance. 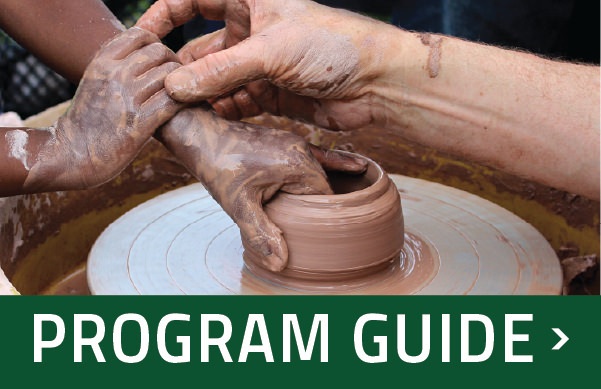 Please see the Fall Program Guide for more information or contact Jameel Jones or 217-398-2573. Parkland Head Coach Anthony Figueroa and the Champaign Park District will be offering individualized instruction in basketball fundamentals for all levels of talent. Campers will work on shooting, ball-handling, passing, dribbling, defensive positioning, footwork, using screens, and guarding on and off the ball. Campers participate in several individual and team competitions.